While this is a coza website, we are including information about building regulations and construction standards, not only in South Africa, but in other countries as well. I am about to rent a residential property with business rights. Where do I find out what kind of business I can operate from the property and the requirements I must adhere to? Good day, I need some advise. I’m currently living in a duplex with a solid wall dividing our driveway and the next door neighbours. The neighbour is currently erecting a pitched car port. My biggest concern is that all the rain and leaves is now being redirected into our drive-way and onto our cars because of the pitch in their car port. Is there any regulation with car ports being erected with shared drive ways? You need to lock at the NBR that relate to drainage. Your neighbour has a responsibility to ensure that ALL rain from buildings on his property is drained properly – and draining it onto your driveway is not acceptable. There is a lot of info on this site about similar scenarios. My neighbour is building a (steel construction) new carport structure 1 meter from my windows and close against the community wall against the two townhouses. Your speedy answer will be appreciated. Unless this is minor building work he needs plans and must comply with building regs. Also, if you have a body corporate or other body in the townhouse development they would need to give permission. Contact them and contact the local authority for clarification of what is allowed. Hi there, do i need my plan to go to the municipality if i want to build a car port with a deck ontop? Carports are generally minor building work, but as soon as you put a deck on top you are going to need a plan – so the answer is yes. Pricing guide or rates structure for building and construction. Joseph we do not produce pricing guides for construction. Sorry we cannot be of help. Besides the documents on our downloads page, there are two different sets of books that can be purchased, I will give you both the links plus our book link. The NHBRC publishes the “Home Building Manual” Parts 1, 2 & 3. These manuals are only available from the NHBRC offices direct. You can phone them on their toll-free number: 0800 200 824 or you can find the regional offices on the NHBRC Contacts page. The National Building Regulations are published by the SABS and can be purchased from them directly, see our SABS Contact page. We also have our own publication called Owner Building in South Africa and can click here to buy a copy online. If you go to the Supply Chain Management page at the NHBRC I am sure they will supply you with what you need. I hereby request an assistance from the NHBRC, the house that we occupy according to my understanding the NHBRC also did its evaluation whether it was built according to the requirements, we started to occupy the house on January 2012 but towards the end of January we noticed that there were cracks inside and outside of the house, the one that was outside was a very big crack, the bathroom sink was leaking, even the bath was also leaking we tried to engage the builders about this problem till today, there was no assistance, during June around windows the rain was getting inside as a result my curtains and walls were damaged even then I consulted the builders till today they have not done anything, my fear is that everyday I see something new that is developing now the gutters are broken due to heavy wind, that is happening in Cape Town my worry is that it’s not even a year staying in this house but there is a lot that needs to renovated or done. I urge NHBRC to intervene to this matter, as I believe that I can’t continue paying the bond while the house falling down into pieces a newly built house, it’s not suppose to be having these kinds of problems in it’s first year. The house address is 35 Gwanqa Streert, Ilitha Park, Khayelitsha,7784. Am looking forward into getting the assistance to the above matter. Cwayita, you need to contact the NHBRC directly. Presuming the builder was registered with the NHBRC their warranty should cover you. But don’t delay, contact them IMMEDIATELY. They close from Dec 24 until Jan 2. Here is a link to their site and the form you need to fill in. These are available from the SABS or from their online store – see links. Do we need plans or authorization if we want to build a new car port? Yes you do need plans. You will need to have them drawn up by a qualified professional (e.g. a draughtsman, architect or architectural technologist) who will act as the “competent person” who is required by law to submit the plans to council. You local authority (council or municipality) will then either authorize the project (i.e. approve the plans), or tell you if any alterations must be made. Please help me understand this, on the e-mail you received from Eugene, regarding the car port, you said they don’t need plans for a new car port, but now you say that we do. It’s not any building, it’s only the structure, a steel frame with corrugated iron roof, to park the cars under during the day for proctection against the sun and hail. Nicky what I said to Eugene was “You may not need plans to extend a carport, but strictly speaking any new carport structure does need plans.” In other words, if he has an existing carport and plans to EXTEND it (for instance make it a bit longer or a bit wider), he MAY not need plans. So presuming the original carport had plans, and the extension doesn’t appear to deviate from the original plans or contravene local council regulations (e.g. it doesn’t extend across a building line), then he’d be okay. Any structure which incorporates more than a couple of rows of brickwork or any structure that has a roof MUST have plans. The problem is that if you go ahead and erect your carport structure, your local council MIGHT tell you to take it down. CORRECTION: If a carport is open-sided – which I think yours is – and as long as it is no bigger than 40 square metres, you DO NOT need plans. However, the National Building Regulations state that you must get authorization from the local authority (or municipality) before you erect it. They might insist on plans; at the end of the day it is their call. I have added a post on “minor building work” which might be helpful. I am a builder seeking some help? Where precisely in the new SANS 10400 can if find the regulation of: a carport is open-sided and as long as it is no bigger than 40 square meters, you DO NOT need plans? I need to show it to a client. 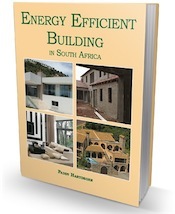 In Part A, pass 17 and 18, De Waal – it discusses Minor Building Work. “An application shall be made to the building control officer for authorization to erect any building defined as minor building work or to carry out any work falling within the ambit of such definition, and any such erection or work shall not be commenced before such authorization has been granted: Provided that such application and such authorization shall not be required for minor building work for which, in terms of the proviso to Regulation A2(1), no plans are required. Thank you very much Penny. It helps allot!!! You may not need plans to extend a carport, but strictly speaking any new carport structure does need plans – see my book Build Your Own Carport & Pergola, unless it is open sided and no larger than 40 square metres, in which case you will need permission from the local authority rather than having to submit plans. I have added a post about “minor building work” that might be helpful.